Buddy D. Ratner is Director of the University of Washington Engineered Biomaterials (UWEB21) Engineering Research Center. He holds the Michael L. and Myrna Darland Endowed Chair in Technology Commercialization and is Professor of Bioengineering and Chemical Engineering, University of Washington. 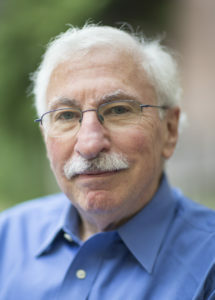 Buddy Ratner’s professional interests include biomaterials, tissue engineering, polymers, biocompatibility, kidney dialysis technology, drug delivery, surface analysis, self-assembly, nanobiotechnology, RF-plasma thin film deposition, technology commercialization and biomaterials education.